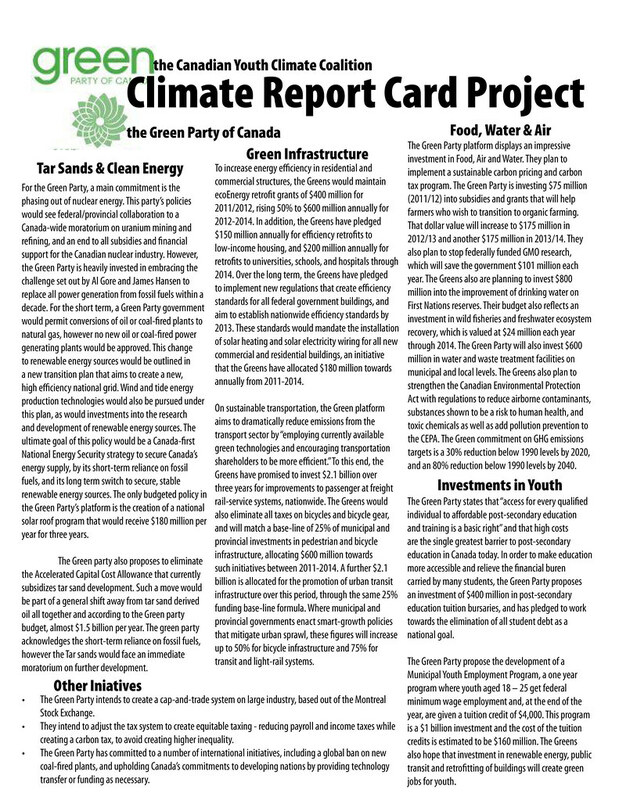 The goal of this publication is to provide a consolidated source of information regarding the climate, environmental and inter-generational initiatives promised by each of the five major political party platforms. 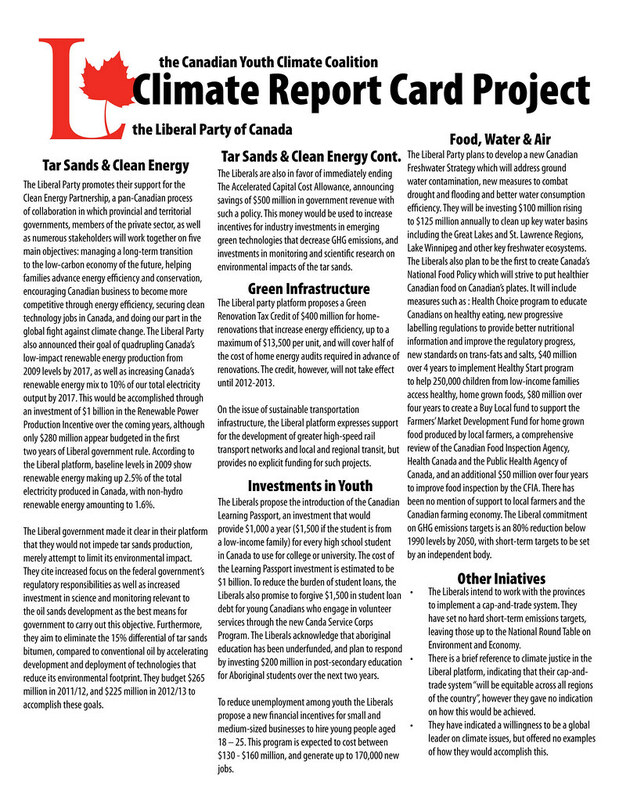 We have worked to create short, but comprehensive and easy to digest one page summaries that break down the party platforms into five categories: Tar Sands & Clean Energy, Green Infrastructure, Food, Air & Water, Investments in Youth and Other Initiatives. 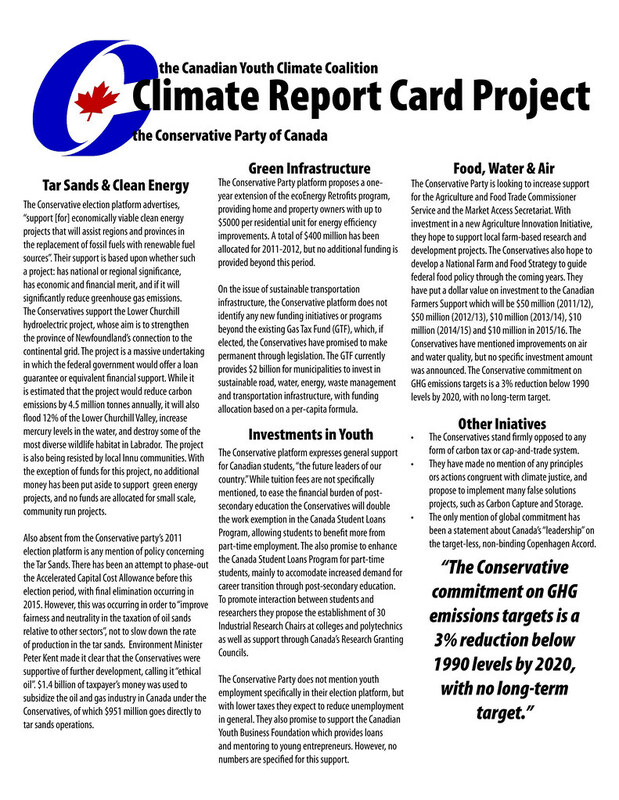 This project is meant to provide a resource for informed voting, and the CYCC in no way endorses nor denounces any of the parties within, but have created this as an educational tool. 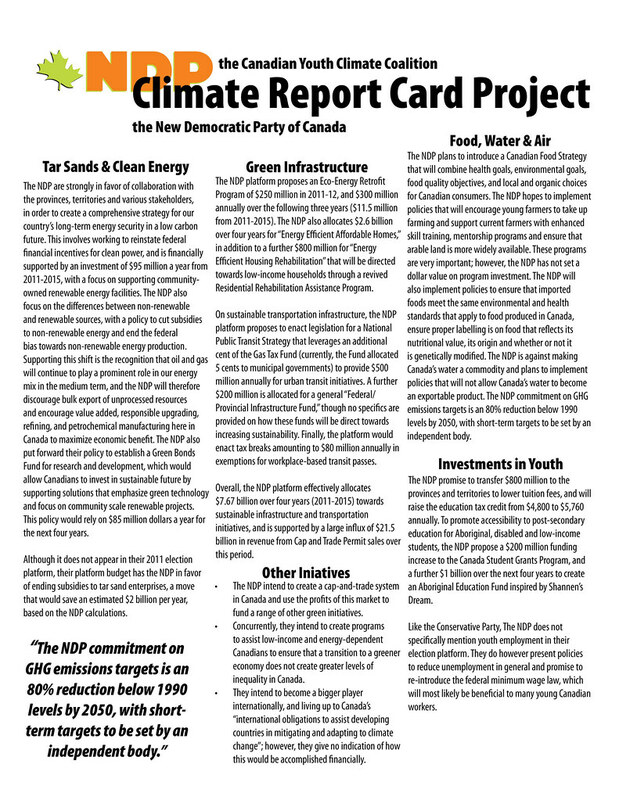 In compiling this document we also recognize that no current federal party is proposing the sort of programs that would bring about the expedient shifts towards a clean, sustainable and just future that our nation and the planet need. While many of the programs proposed in these platforms are steps in the right direction, they fall short of reaching the destination. We also recognize that key issues such as the rights of Indigenous peoples and workers are not adequately dealt with in these platforms. Nor is one of this campaigns main failings, the lack of representation of the concerns of our generation, alleviated by a reading of the contents of these platforms. Again we are seeing some movement towards the proper direction, but it is limited by political pragmatism, promising us only fractions of what we know is needed. 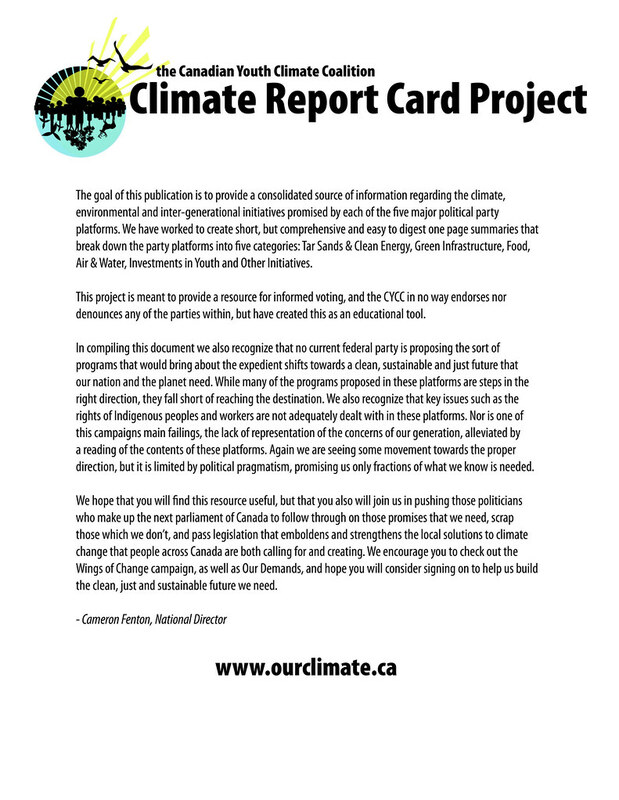 We hope that you will find this resource useful, but that you also will join us in pushing those politicians who make up the next parliament of Canada to follow through on those promises that we need, scrap those which we don’t, and pass legislation that emboldens and strengthens the local solutions to climate change that people across Canada are both calling for and creating. We encourage you to check out the Wings of Change campaign, as well as Our Demands (a key part of that campaign), and hope you will consider signing on to help us build the clean, just and sustainable future we need. Read it Online or click on any of the images to download the full report! 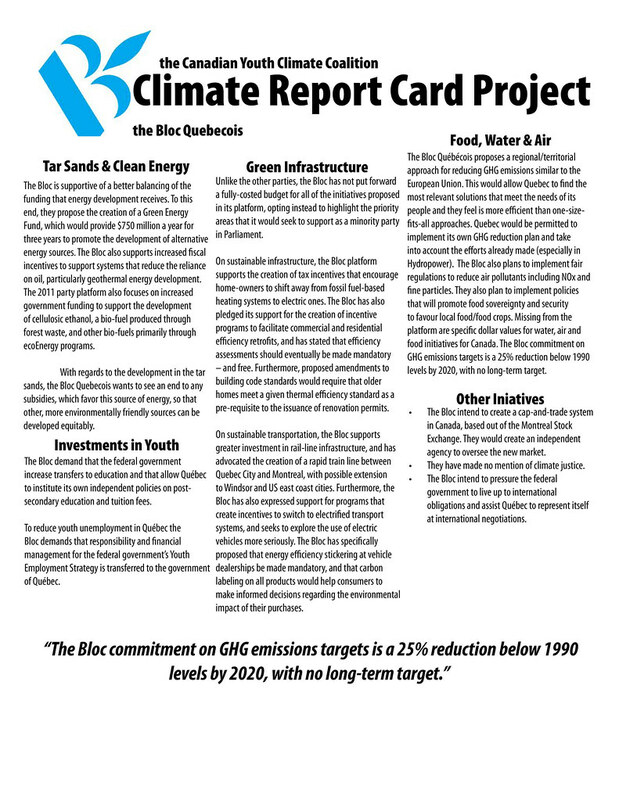 All of the research for this project was compiled by the CYCC’s Policy Research team: Graham Carey, Jenna Gall, Kaleigh McGregor-Bales, Stephen Roddick, Evan Pivnick, Ekaterina Yakushina and Nils Westing. Who are these mysterious research ninjas? Find out here.